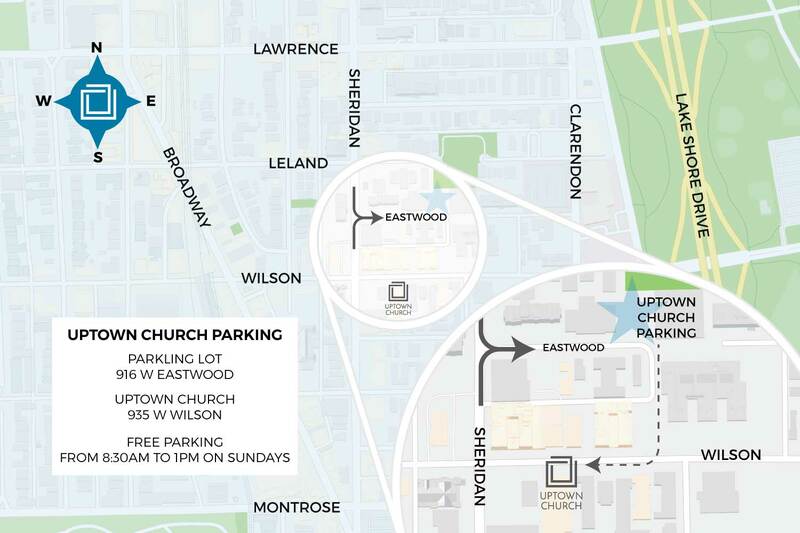 Uptown Church now has free parking available at 916 W. Eastwood on Sundays from 8:30 a.m. until 1 p.m. Access the parking lot on Eastwood from Sheridan Rd. It's only a short walk past Uplift Community High School to Wilson Ave. and Uptown Church. Additionally, there is free street parking all day Sunday in Uptown. Neighborhood permit parking is not enforced until 6 p.m.
We meet weekly on Sundays at 10 a.m.